Stand up paddle boards are popularly used for fishing. They are very easy to transport and can help you explore locations that are inaccessible by boats. Innovations have led to the development of specialized stand up paddle boats. Others excel at all functions. At the same time, the prices of this equipment have gone down considerably, mainly because of the tight competition among manufacturers. 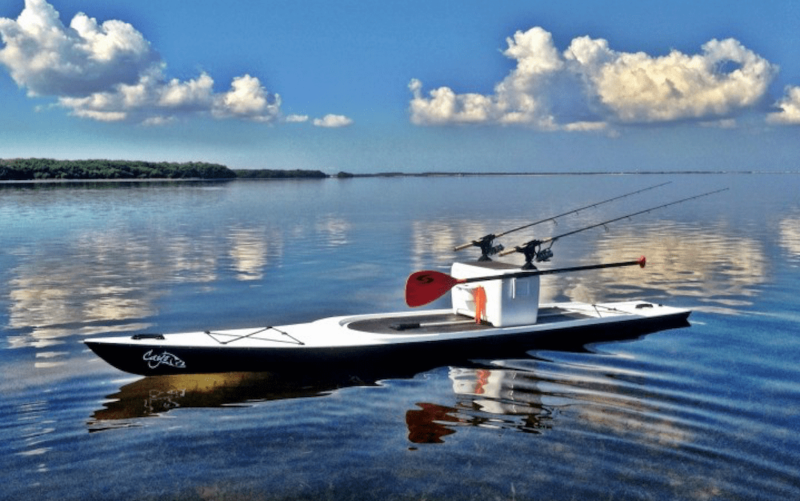 This review will cover our 5 best stand up paddle boards for fishing. 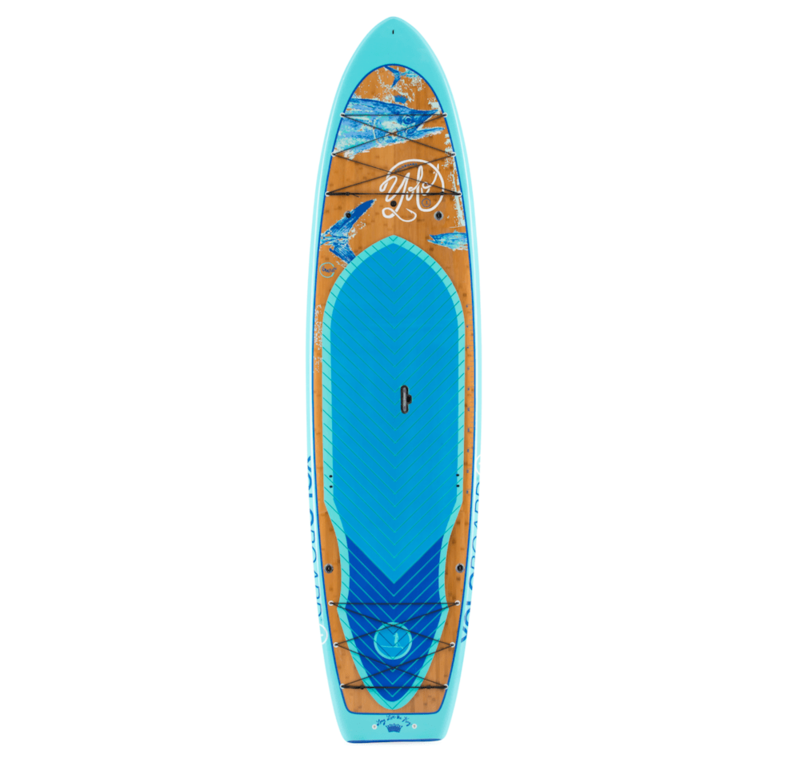 This is one of the best stand up paddle boards on the market. 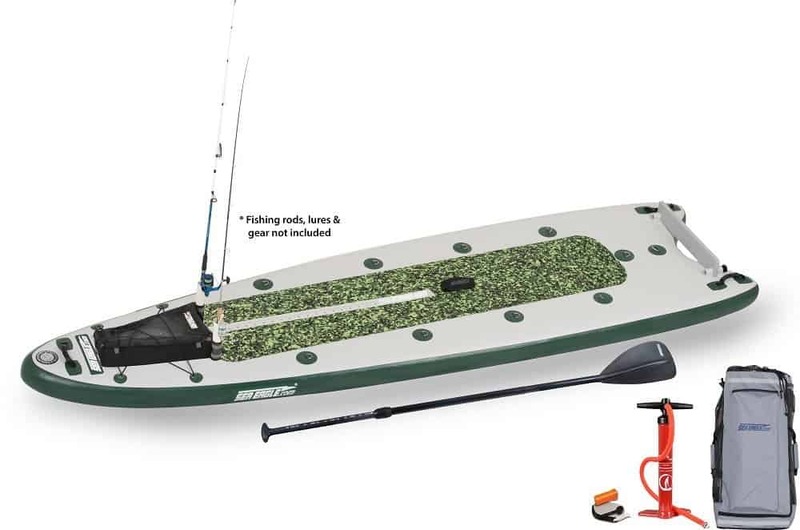 It was specifically designed for fishing, so it has many features and modification that other boards lack. Compared to other boards, it is quite wide, and this makes it a lot more stable. The actual dimensions are 40 by 4 inches. At the same time, it can easily be maneuvered because of its hull design. 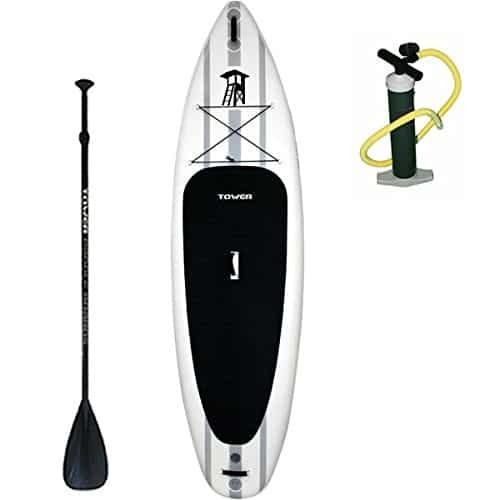 Being an inflatable SUP board, it is very light and easy to transport and store. With this board, you can carry additional bags, coolers, and tackle boxes. This is made possible by the bungee mounts. Because of its great design and quality, this board is very highly priced. This is another great inflatable SUP. Just like the Boardworks Badfisherboard, this one is very wide and stable. It measures 40 by 6 inches. The size also allows users to carry along extra fishing accessories. At its nose, there is a bungee storage and 14 stainless steel D-rings. You can also use a fishing seat and a small motor to make your experience a lot better. This board is generally good for fishing while standing or sitting. Setting up this board takes less than 10 minutes. Inflation will only take 7 minutes. To ease over wake, the manufacturer made it with an upturned bow. The swallow tail is also very large, and this makes it easy for users to maneuver the board. It also comes with a built-in 36 inch ruler. Very large when inflated making it harder to carry around. The YOLO Fisher kingfisher is among the best known stand up fishing boards. The design is well thought-out and very attractive. Its surface is graphic and features great art. This board has a V-shaped hull that makes maneuvering very easy. At the same time, the board is very long and wide, and this makes it very stable. The board gives you stealth when fishing since the hull prevents waves from dragging the boat. Your stand up fishing experiences should, therefore, be a lot more fruitful with this SUP. Adding equipment and gear to the board is simple as it has multiple bungees. One disadvantage of this SUP is the fact that it is not inflatable. For this reason, transporting and storing the board is a lot harder. That said, the board is quite light. Although this board was not specifically designed for fishing, it can be used for this purpose. It is inflatable, making it easy to carry around and store. Again, users of this board can enjoy great stability because of the length and width of the board. The board can accommodate lots of extra accessories. Being a very thick board, this equipment can carry a lot more weight than other similar products. It can actually carry a maximum of 400 pounds. Since the manufacturer did not intend for it to be specifically a fishing board, you might have to make some modifications to it. Stand up paddle fishing is a fast-growing water sport. It is very easy to learn, regardless of age. 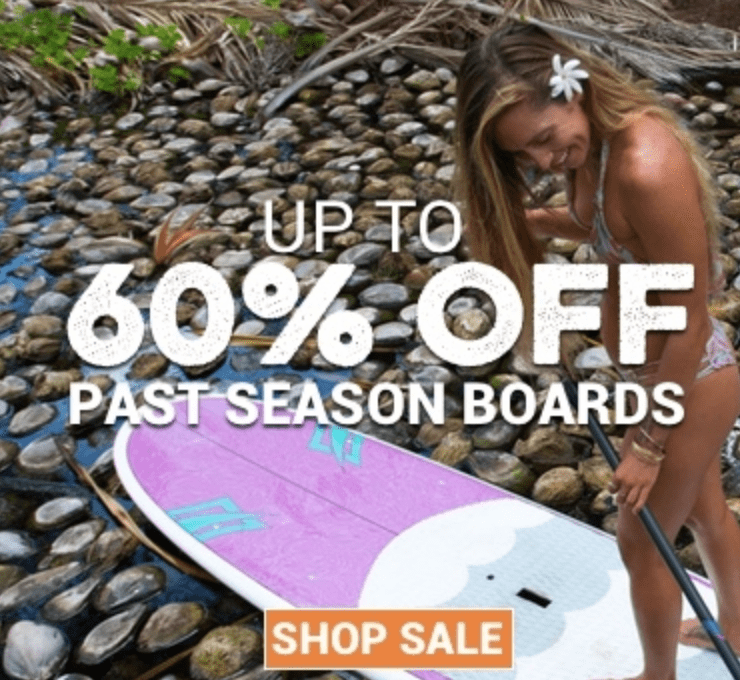 Finding the right SUP for fishing is important since the wrong board will easily discourage you. When buying these boards, you need to check the dimensions, thickness, ease of maneuvering, and extra features. Also, you need to make sure it fits your budget. 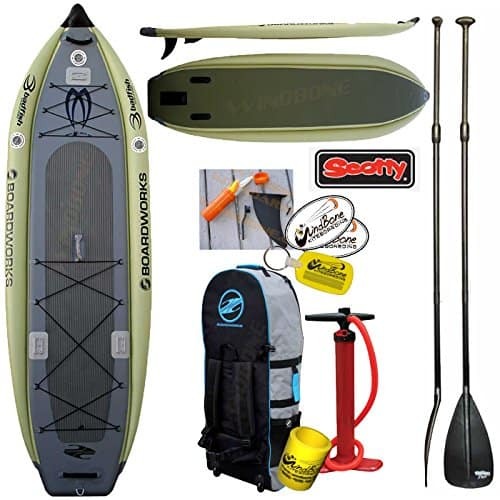 These are some of the best and most popular boards for fishing. This is not just our opinion, but facts based on sales and reputation. If you feel we missed a better fishing board, please feel free to comment below on your personal favorite. The top of the article says this is a list of 10, but I only read 5. Thank you for catching that Brennen. Should be fixed now.